Step out of the city life by going to Urho Kekkonen National Park and Nature & Wildlife Tours. When in Saariselka, make a side trip to see Pielpajarvi Wilderness Church in Inari, approximately 1h 10 min away. On the 14th (Thu), spend an exhilarating day on the slopes at Saariselka Ski & Sport Resort. For more things to do, traveler tips, where to stay, and tourist information, read Saariselka driving holiday planner. Helsinki to Saariselka is an approximately 4.5-hour flight. You can also do a combination of flight and bus; or drive. Plan for slightly colder temperatures traveling from Helsinki in March, with highs in Saariselka at -1°C and lows at -12°C. Finish your sightseeing early on the 14th (Thu) so you can travel to Muonio. Muonio is a municipality of Finland.The town is located in far northern Finland above the Arctic Circle on the country's western border, within the area of the former Lappi province. Step out of the city life by going to Pallas-Yllastunturi National Park and Keimiotunturi Fell. 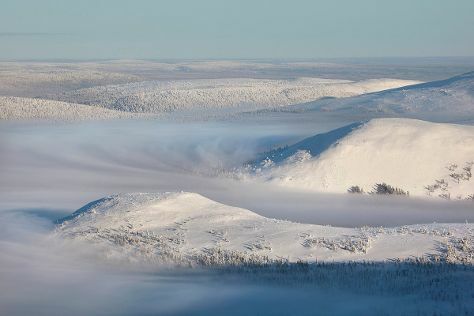 There's lots more to do: fly down the slopes at Yllas Ski Resort, contemplate the long history of Keimioniemi Fishing Cabins, ski along the peaceful trails at Torassieppi Reindeer Farm & Cottages, and see the interesting displays at Muonion Kotiseutumuseo. To see where to stay, maps, traveler tips, and tourist information, use the Muonio trip planner. Getting from Saariselka to Muonio by car takes about 3.5 hours. In March, daytime highs in Muonio are -1°C, while nighttime lows are -12°C. Wrap up your sightseeing on the 17th (Sun) early enough to travel to Kittila. Kittilä is a municipality of Finland and a popular holiday resort.It is located in northern Finland north of the Arctic Circle within the Lapland region. Start off your visit on the 18th (Mon): ski along the peaceful trails at Levi Ski Resort. On the 19th (Tue), you'll have a packed day of sightseeing: explore and take pictures at Ice Karting Levi and then take an exotic tour of a safari tour. To see other places to visit, ratings, maps, and other tourist information, read Kittila tour itinerary planner . You can drive from Muonio to Kittila in an hour. March in Kittila sees daily highs of 0°C and lows of -10°C at night. Finish your sightseeing early on the 19th (Tue) so you can drive to Rovaniemi. 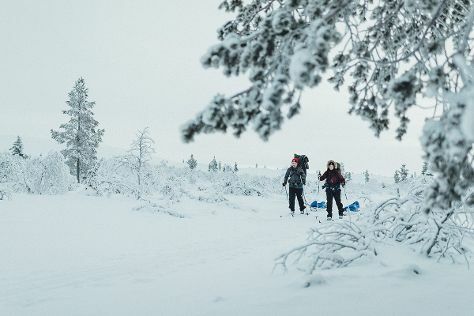 Visiting Safaris and Syvasenvaara Fell will get you outdoors. There's much more to do: get in on the family fun at Santa Claus Village, look for all kinds of wild species at Poro Farmi, look for gifts at Your Piece Of Finland, and take an in-depth tour of Arktikum. For maps, more things to do, and tourist information, read our Rovaniemi trip maker app . Getting from Kittila to Rovaniemi by car takes about 2 hours. Other options: take a bus. March in Rovaniemi sees daily highs of -1°C and lows of -9°C at night. Finish your sightseeing early on the 23rd (Sat) so you can travel back home.